Every organization wants to communicate their ideas and get better results: a larger audience, more members, or greater donations. Nonprofits and foundations value the importance of web and digital media; yet the idea of developing a strategy for their content tends to be an afterthought to lengthy design and development projects, if it is considered at all. This oversight can be a costly mistake. Sound content strategy provides a roadmap for making sure your communication efforts are more efficient and effective. You can drive your organization’s communication without that roadmap, but you may spin your wheels without getting anywhere, or worse, you might not like where you wind up. 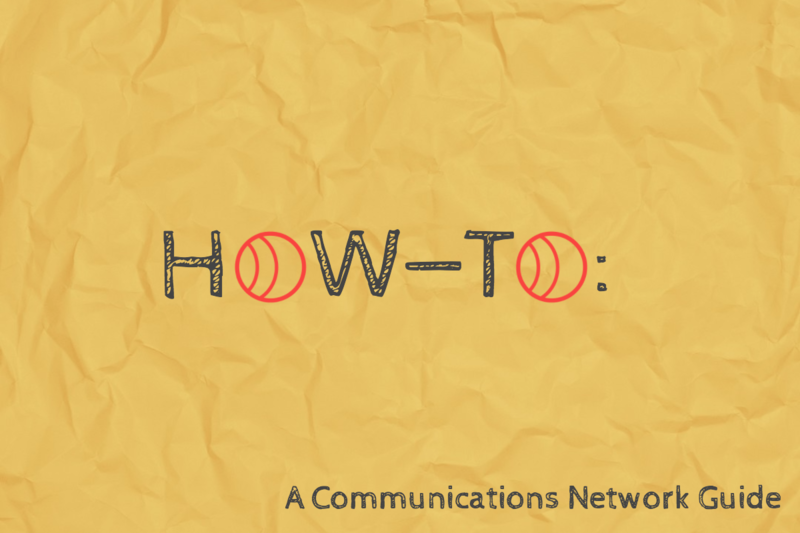 This how-to guide will help explain what content strategy is, how you can develop one, and how you can put it to work for your organization. It’s also about making your content get good results. “Content strategy is a plan to get you from where you are now with your current content… to where you want to be,” Halvorson writes. Consultant Keri Maijala describes content strategy as helping “figure out what our content needs are based on business goals.” Rather than an afterthought to marketing or design, content is viewed as the central engine for achieving business goals. This may seem lofty and conceptual, but it establishes practical solutions to the struggles many organizations face with communicating their ideas more effectively: it helps answer and plan for the key questions about where content will come from, how it will get finalized and approved, how it will get published, how it’s effectiveness will be measured, and who will manage it after it is live in the world. In practical terms, what kinds of questions does content strategy answer? Content strategy helps tackle both macro and micro content questions, including everything from how often you publish content, who is in charge of writing or creating it, how and when that content is edited and published, what kind of tone and “voice” your content should use, what kind of design will complement the content, how the content will be promoted on social media, and by whom. These are just a few examples, but they show the wide range of content strategies that are best not left to improvisation and guesswork. What are the three most important things to know? The graveyards of failed websites are filled with projects that focused too much on aesthetics and visual sizzle over the more critical plan for what the site needed to accomplish and how it could generate and deliver content to achieve that goal. A well-designed website starts with a clear focus on what it’s meant to deliver and to whom. It’s hard to make effective design decisions without figuring out what your content will be, how often it will be created, and how it needs to be organized. Design exists to support your content strategy, not the other way around. 2. Your strategy is as much about people as it is about content. Halvorson’s agency, Brain Traffic, has a great visual (“The Quad”) that shows how an effective content strategy balances content and people components. On one side of the visual are the “content” components of the strategy: the substance and structure of the content — the actual information and how it is structured and displayed. On the other side are the “people” components, the ones that deal with who does the work of creating, editing, and publishing content, as well as how to analyze and manage it after it is out in the world. At the center of those four equal elements is the “core strategy”: the overall vision that drives all the other parts. 3. Let data inform the strategy. Everyone has an opinion, and especially within organizations, lots of people have beliefs about the importance and value of their own content. In meetings, it’s common to hear vague arguments about what will work or what won’t work. The best way to rise above common arguments and turf battles is to look to the data. Analytic data can help shed light on what kind of content has been attracting readers, which hasn’t, or which content motivates visitors to take actions you want. Your data can help clarify which topics or formats do best, helping inform your ongoing strategy. For example, a nonprofit I worked with spent a lot of time designing complex, beautiful infographics. But often, those graphics didn’t attract as many viewers as much simpler and easier-to-create lists. A large, complex infographic about health care often got a quarter of the readers of a simpler article on the same topic that offered something like “Seven Ways Health Care Reform Will Help Older Adults.” After a while, our editorial team focused on creating more short, reader-friendly lists and soon after noticed a meaningful spike in readership. Had we just gone with our gut feeling that infographics were cooler and more impressive, we’d have missed an opportunity to grow our readership and get our research out to more people. So let’s assume you’re sold on the value of developing a content strategy. How do you do it? 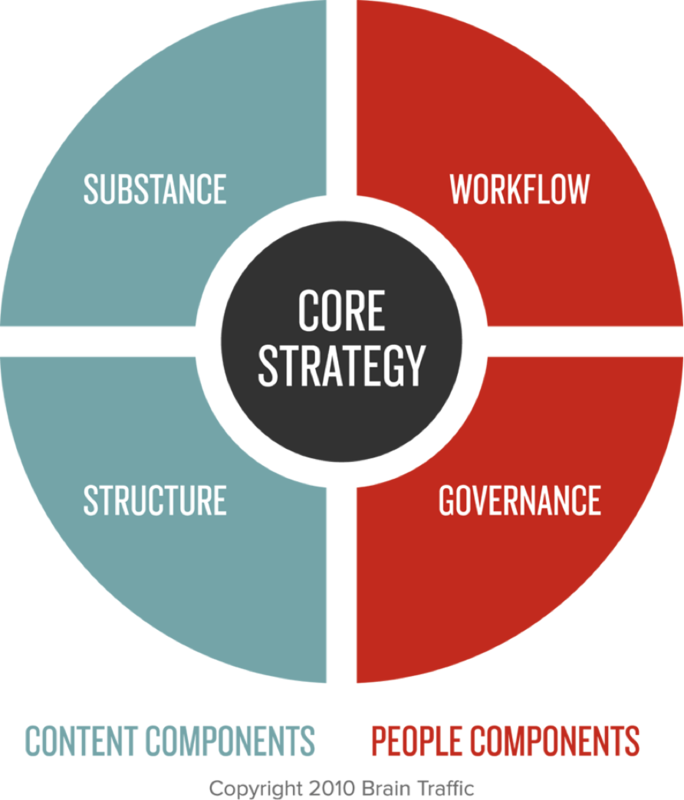 As mentioned above, the core strategy drives every element of your overall content plan. It should speak to your long-term mission as an organization and what it is trying to accomplish, what kind of content it will produce for its users or supporters, and what the organization will do to support the efforts. It should be aspirational, motivational, flexible, and memorable. You’ll have plenty of time to dig into the nuts and bolts of content, but the core strategy speaks to the bigger vision and objectives of the organization. It guides what you will do (and what you won’t). From your core strategy, you can develop the more detailed strategies and tactics for getting it done. Quality trumps quantity when it comes to content. Less content is more user-friendly, easier to maintain, and costs less to create. Better to publish one great post than four mediocre ones. Doing a content audit is an essential initial step in developing a content strategy. This can take time, but there’s no better way to assess your current content situation than to make a comprehensive inventory of all your current content. From there, you can start to see what’s working, what’s not, and what kind of content might be more effective at achieving key organizational goals. A sound content strategy comes from listening to two key groups: your colleagues, who can explain the challenges and problems they currently face when it comes to creating and publishing content, and your users, who can best tell you want content they find most useful and compelling. Too often, leaders and management of organizations make broad assumptions when making decisions about their content without talking to these key groups. As a result, organizations wind up spending a lot of time and effort on content that few users really want. Nobody wins. Many people can help contribute ideas and experience to form a content strategy, but someone needs to be responsible for pulling it all together and making sure it happens. A committee usually isn’t up to the task: you need a dedicated person with the job of making “content-related decisions … especially when it comes to saying ‘no. '” Bottom line: someone needs to own content strategy and be empowered to put it in place. You don’t need to be an expert on content strategy to start working on one. You can start asking questions, talking to your colleagues, and reading up on content strategy techniques and approaches. You can start auditing your content, reviewing analytics, and talking to users about what kinds of content are useful to them. Much of what you need to start building an effective content strategy is all around you: all you need to do is start asking the right questions.